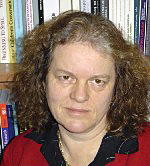 Gillian Wigglesworth received her PhD in 1993 from La Trobe University with a thesis entitled "Investigating children's cognitive and linguistic development through narrative". From 1992 to 1994 she worked at the University of Melbourne in the Department of Applied Linguistics and the Language Testing Research Centre, where she focussed particularly on the development of oral language assessments. She worked in the Department of Linguistics at Macquarie University from 1995-2001 where she was coordinator of the applied linguistics postgraduate programs. From 2000-2001 she was also a member of the Adult Migrant English Program Research Centre research staff. She returned to the University of Melbourne in 2001. Her research interests include first and second language acquisition, language testing and evaluation and bilingualism, using both quantitative and qualitative approaches to data collection and analysis. Professor Jane Simpson has worked on one of the languages in the study, Warumungu, since 1979, and have been involved in language maintenance work in the Tennant Creek area. She has also studied historical records to determine the development of pidgins in different parts of Australia. 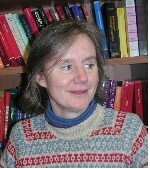 Professor Simpson became involved in the project, partly because she wanted to find out more about the conditions that favour maintenance of traditional languages, but also because she want to understand the ways in which learners reinterpret the data they hear in producing creoles and new mixed languages. Jill began working on the ACLA2 project in 2014 and will collect data for the project in 2014 and 2015. She also works on other research in the field of sociolinguistics, focusing on language ideology and the social meanings of language use in both the Indigenous and migrant languages of Australia. Jill completed her undergraduate studies at The University of Melbourne, and wrote her Honours thesis on syntactic variation in Australian English. 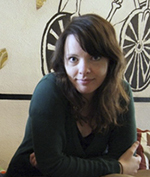 Her doctoral research took a multi-sited ethnographic approach to investigating the social meanings of Irish-language use in Ireland and the Irish diaspora. Jill also teaches undergraduate courses at The University of Melbourne and co-coordinates the Australian Computational and Linguistic Olympiad (OzCLO) for high school students in Victoria. 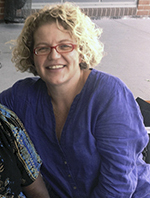 Sally completed undergraduate studies in Linguistics and Psychology at the University of NSW, with an honours thesis investigating language planning in the Torres Strait. She has also completed a Graduate Certificate in Language Endangerment Studies at Monash University. Sally is enrolled as a PhD student at the University of Sydney, and her project will investigate how Aboriginal children are acquiring code-switching behaviour as part of their multilingual development. Sally worked at Wangka Maya Pilbara Aboriginal Language Centre from 2006-2008. In her role as community linguist she helped develop community language resources, as well as undertaking language documentation and description work. Prior to that she worked in the Philippines in an Indigenous Education NGO, helping to structure the multilingual curriculum and make multilingual resources for the schools. Susan is enrolled as a part-time PhD student at the Australian National University, and her research is on morpho-syntactic features of children's language in home and school contexts. A number of parents and Arrernte teachers are working with her on recording and transcribing. They have a deep interest in their children's language development and education. Susan works in the Faculty of Education and Social Work at the University of Sydney as a lecturer in Indigenous languages education. She has a BA., DipEd(Macquarie), Grad.Dip. (TEFL)(Sydney) and MA (Applied Linguistics)(Sydney). 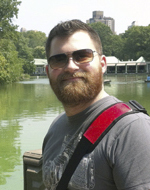 Aidan recently submitted his Masters (Research) thesis at The University of Melbourne. He grew up in Sydney and earned a Bachelor of Liberal Arts with honours in Linguistics in 2006 at the University of Sydney. His honours thesis investigated some aspects of the syntax of verb constructions in Wagiman, a Gunwinyguan language from the Katherine region. His Masters thesis investigated aspects of the verb morphology of Traditional Tiwi, a highly polysynthetic language originally spoken on the Tiwi Islands, 80 kilometres north of Darwin.